Mata Amritanandamayi, affectionately called 'Amma' by her followers has spawned a huge network of charities, schools and shelters across the world. The spiritual therapist has literally built an empire on hugs. Celebrations are underway in Amritapuri, the headquarters of Mata Amritanandamayi located in the idyllic southern Indian state of Kerala. India's famous spiritual guru, affectionately called 'Amma,' is celebrating her 60 th birthday and a sea of followers from across the world has poured in to partake in the week-long festivities. The short, stout woman, dressed in white robes and who was born into a struggling fisherman's family, has just finished a marathon 16-hour session of embracing people while sitting on the dais. The crowds seem endless. But there are no signs of fatigue and Amma remains as sprightly and energetic as ever. "Some people come to me with their problems, they want solace. The duty of a doctor is to cure patients and my duty is to console people who are suffering. How can I disappoint them?" Amma told DW. According to those in charge of her 'ashram' or spiritual abode, it is believed that she has hugged over 33 million people in the last three decades. Award-winning film maker Jan Kounen made a movie based called "Darshan- The Embrace" on Amma's life which was shown at the 2005 Cannes Film Festival. She doesn't prescribe to any specific religious doctrine - unless, of course, one considers hugging to be a religion. Her transformation from an unconventional girl to a mother guru began in the late 70s, say those close to her. "My religion is love. An unbroken stream of love flows from me to all beings in the universe," says Amma. Her ardent supporters vouch for that. Many of them including doctors, rock stars, tycoons and software engineers have forsaken their careers to be in her service. "She is not just a living legend. She is divine incarnation. In today's modern world if Amma can reach out to millions and make an impact just with the message of love, that is saying something important," Dante Sawyer, an American who has been with her for over a decade told DW. Mikko Von Hurtzen, a heavy metal rock star from Finland says Amma exudes an energy that has helped him immensely, especially in his music. "This energy is so powerful. That embrace is not just physical, it comes from the center of her being and plants the seeds of affection," the Grammy Award-winning artist told DW. With millions of devotees across the world, Amma has taken a number of humanistic and charitable projects - constructing hospitals and schools for the poor and needy, women shelters, orphanages and clinics both in India and abroad. This vast network also includes 35 welfare centers across the world. Her organization contributed 23 million US dollars for victims of the 2004 Asian Tsunami and one million dollars for victims of Hurricane Katrina. And coinciding with her birthday celebrations, her ashram is bracing to adopt 101 villages across India to make them self-sufficient, armed with state-of-art solar power panels. Former President A. P. J. Abdul Kalam, Nobel laureate Leland H. Hartwell, noted agriculture scientist M. S. Swaminathan and other distinguished personalities have made a beeline to Amritapuri for the festivities, along with thousands of other men and women for that embrace. Dozens of gunmen were involved in the attack in the restive Baluchistan province. A separatist group has claimed responsibility. Unofficial results from the presidential polls place Indonesia's Joko Widodo well ahead of his rival, former-general Prabowo Subianto. 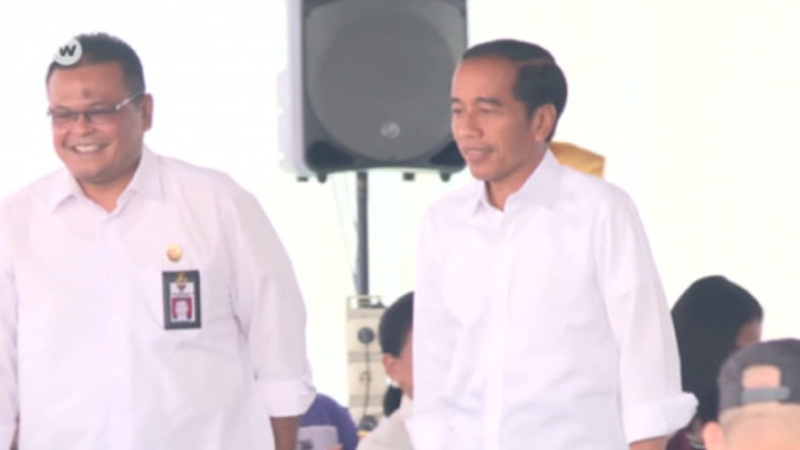 However, Subianto declared victory and announced a rally in Jakarta.